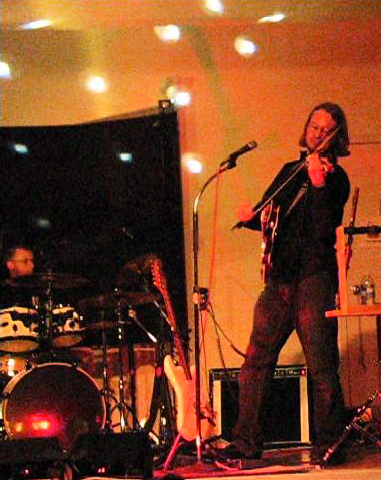 (2008) Playing electric violin with a wah pedal at a Resistor gig. Barry farrands on drums. That drum set is huge - you're seeing less than half of it in this picture!